Ezekiel Pittman, 19, of Roosevelt, robbed and shot a 60-year-old cab driver in his town. He was arrested soon after the shooting. Last night a 60-year-old cab driver was robbed and shot by a local teenagaer in Nassau County while sitting in his car. The incident happened at around 7:45 p.m. when the cabbie got a call to pick someone up at 64 West Roosevelt Avenue in Roosevelt. The scene he arrived to was suspicious. The house where he was supposed to make his pickup had a for sale sign in the front yard and looked to be empty. The suspect who set the driver up is 19-year-old Roosevelt resident, Ezekiel Pittman. When Pittman stepped inside the cab he flashed his weapon and demanded money. The driver agreed to his demands but Pittman still asked for more. After asking for even more cash, Pittman shot the driver. Following the shooting Nassau police say Pittman fled on foot eastbound on West Roosevelt Avenue. He was caught nearby on Henry Street in Roosevelt. Luckily the driver was conscious by the time Nassau County police arrived at the scene of the shooting. He was brought to the hospital for a gunshot wound on the right side of his body. The cabbie is in stable condition and expected to survive. Pittman is charged with three counts of Robbery, Assault in the 2nd Degree, Two counts of Criminal Possession of a Weapon in the 2nd Degree, and two counts of Criminal Use of a Firearm. This isn’t Pittman’s first time in trouble either. Earlier in the month he attempted to rob a female cab driver at gunpoint. Last year the teen appeared in a Bucks County Criminal Court after being charged with one count of Marijuana possession and possessing drug paraphernalia in Pennsylvania. 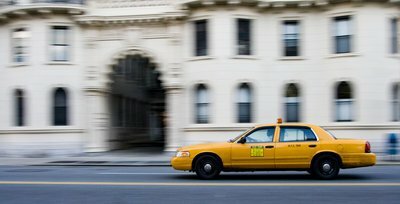 Subject: LongIsland.com - Your Name sent you Article details of "Arrest Made in the Shooting of a Cab Driver in Roosevelt"